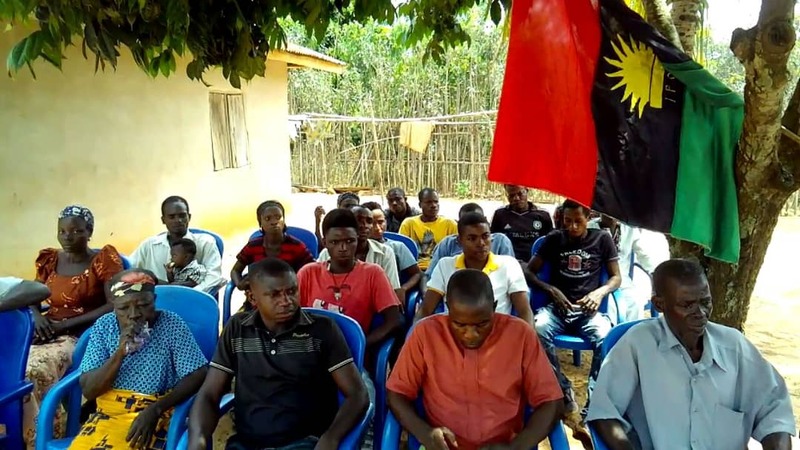 The Indigenous People Of Biafra (IPOB) at Ebonyi state, in Izzi LGA on Thursday 1st November, 2018 inaugurated Mgbo Agbaja family unit, with the aim to establishing IPOB families in every community, streets and towns in the whole of Biafra land, according to the new directives of the national IPOB leadership. 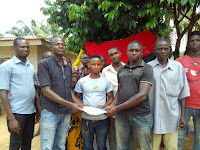 The newly inaugurated family unit coordinator, Mazi Emmanuel Mbam while addressing his people, expressed gratitude for the inauguration successfully done in their jurisdiction, on his address, he said that this is what he has been praying for, "thank God we have finally being inaugurated today". 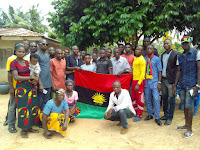 He promised to work hard alongside his colleagues and members in leaving up to expectations of his people and IPOB. 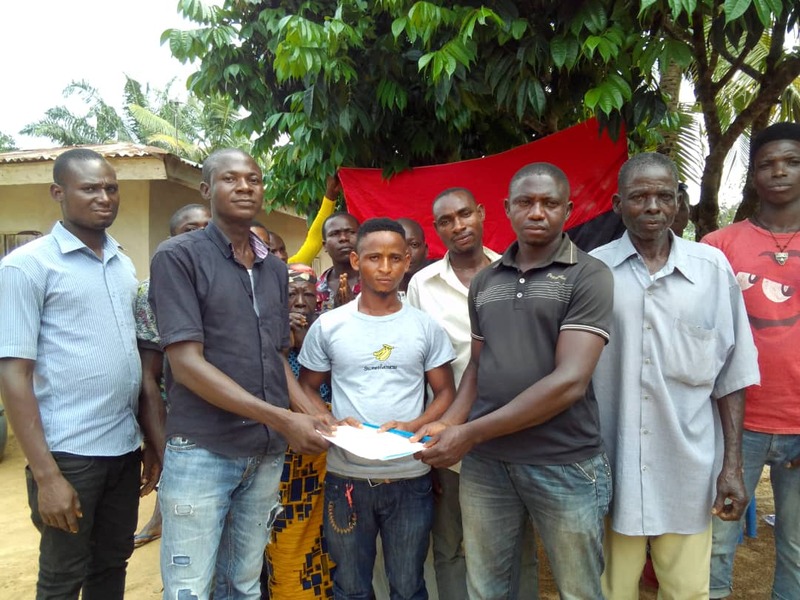 The Izzi Local Government area coordinator, Mazi Ishioko Jacob on his own while addressing the inaugurated unit, said that they need work in harmony as one family to achieve what they need in the struggle and capture the attention of their people, especially to join them in the agitation. The Ebonyi north Senatorial district coordinator, Mazi Ezike Wisdom while conveying his message to the family unit, expressed joy on the rate the gospel for Biafra restoration is penetrating into nooks and crannies of Ebonyi especially in rural areas, he equally urged the members to further spread the good news to the areas that has no existing family unit with the little time remaining for the total freedom of Biafra from the British contraption called Nigeria. 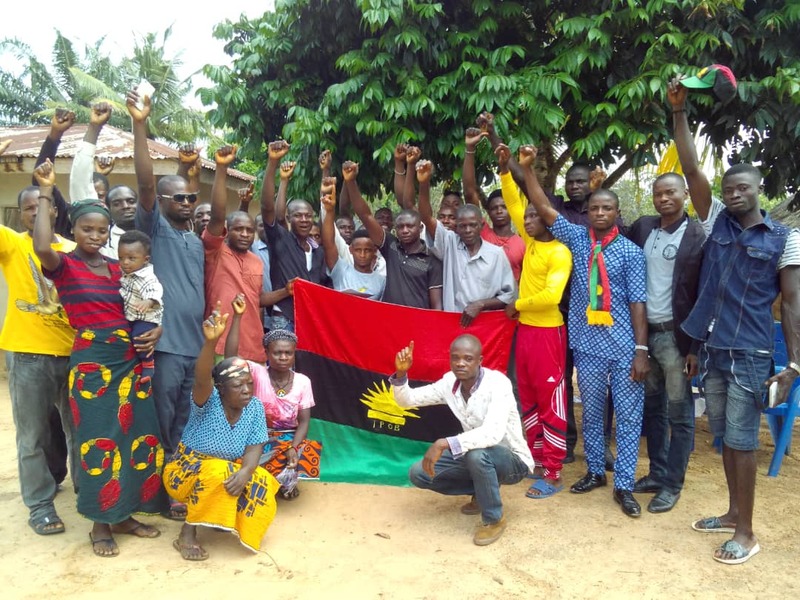 He went on to say that while IPOB remain ardent and resolute in fighting for the total emancipation of Biafra is because Nigeria as an entity has expired and there is nothing anybody can do to salvage it from collapsing. 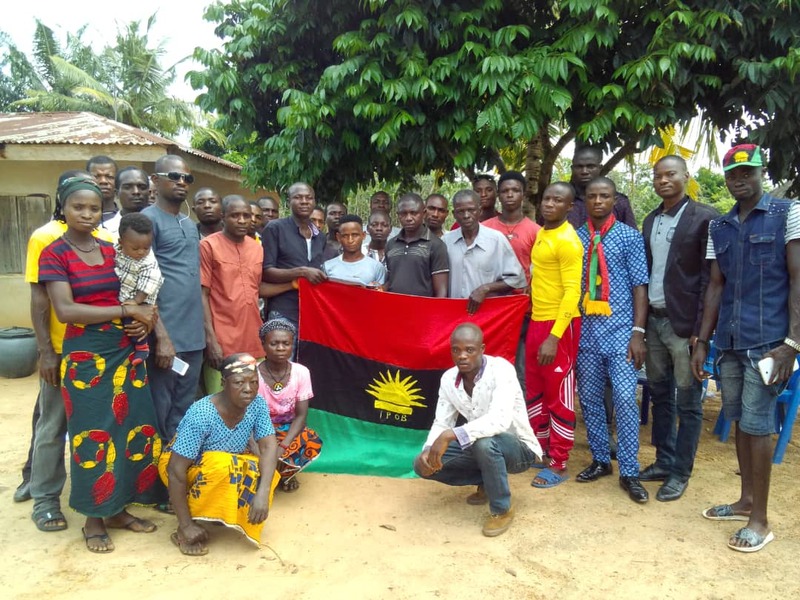 Eze Nwogbaga a member of the newly inaugurated unit, when given the opportunity to speak on a general matter, thanked the principal officers of IPOB from the senatorial district, local government area, and the zone who made it to the inauguration, "I was a member of MASSOB, led by Ralph Uwazurike before I discovered the truth and a genuine leader in the person of Nnamdi Kanu of IPOB, whom I know was sent to take us to the promised land by God, I am happy that today I am a full authenticated member of IPOB". 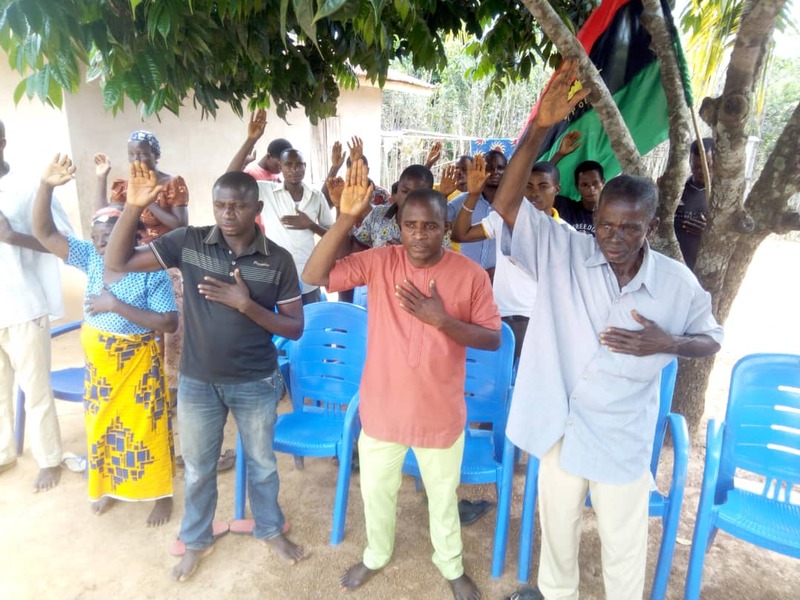 Another member of the unit who spoke, Mrs Ogbaga Nwibo Nwenu who spoke in Izzi local dialect, promised to give her full support possible in the struggle for Biafra restoration, she noted that each time her unit scheduled for meeting that she will always avail herself to be in the meeting. She lamented that all the long efforts and time invested in the Nigeria politics and evil greedy politicians could not bring any tangible positive change rather it has worsened the situation of the Nigeria country and her citizens, so the need to join IPOB in the struggle to restore Biafra which is the only hope of the black race. 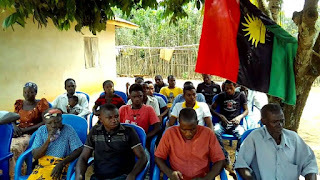 The inauguration was performed by Mazi Ishioko Jacob the IPOB Izzi LGA coordinator.